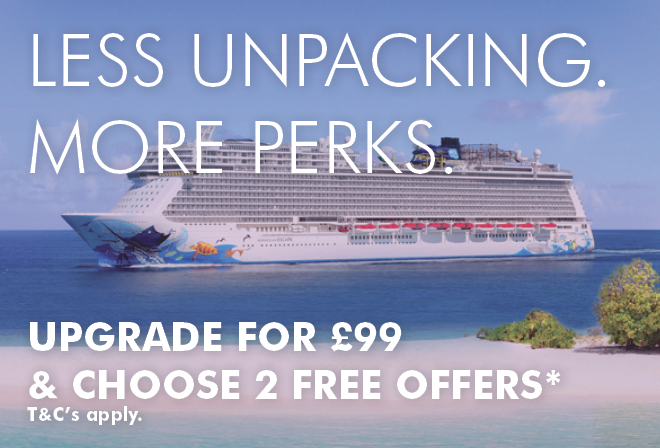 With Norwegian Cruise Line, you only pay for the benefits you choose. For dining, take your pick from main dining rooms with daily menus, buffets, live cooking stations, casual eateries and fine dining. Favourites include Los Lobos for Mexican cuisine, French brasserie Le Bistro and Moderno Churrascaria. Plus, no assigned seating or dining times, means you can eat at a time that suits you. 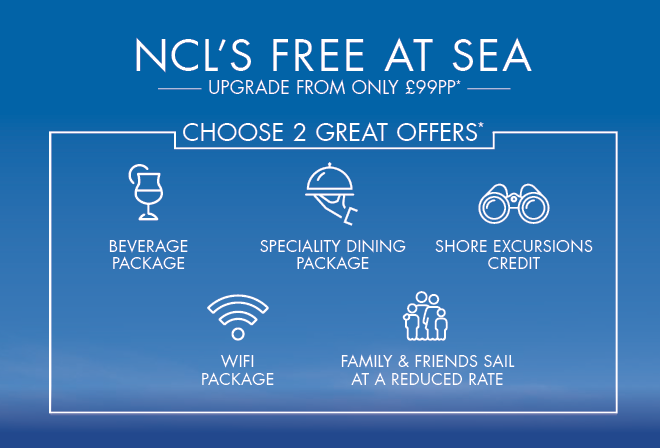 NCL are commited in providing you the ultimate cruise freedom and flexibility. You choose your own benefits, ensuring every holiday is bespoke to you. In terms of entertainment, watch a Broadway-style production such as Rock of Ages or Million Dollar Quartet; be dazzled by Cirque Dreams acrobatic show; dance the night away at a Deck Party; or stroll along the Waterfront promenade.Other exciting features include the only racetracks at sea, waterparks, rope courses and the Plank, which extends eight feet over the side of the ship. Premium Beverage Package with alcoholic and nonalcoholic branded drinks served in all bars, lounges and restaurants throughout their cruise. Speciality Dining Package with up to five dining opportunities in selected speciality restaurants. WiFi Package with up to 125 minutes WiFi per person. 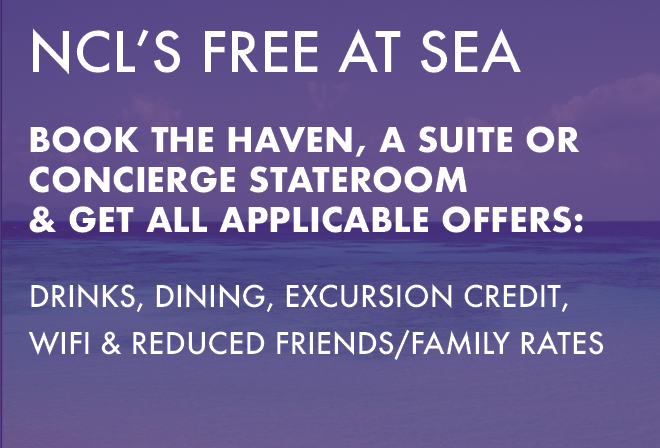 Family and Friends Offer where guests three and four in the stateroom pay only the applicable tax for their cruise. Applicable on select sailings only. Boasting 17 ships in total, Norwegian Cruise Line has one of the youngest fleets at sea. Newest ships include Norwegian Bliss, which launched in 2018, and Norwegian Encore, in 2019. Several of the fleet’s ships - including Norwegian Joy, Norwegian Sky, Norwegian Breakaway, Norwegian Jewel, Norwegian Star and Norwegian Sun - have also been recently refurbished, adding the top-notch features and extensive list of restaurants that Norwegian Cruise Line is known for. Indulge Your Taste Buds: Savour a three-course meal and a great bottle of wine. Or grab a burger hot off the grill. Dress up. Dress down. Sit down with friends or make new ones. Thanks to the flexibility of no fixed dining times or pre-assigned seating, you have the freedom to enjoy more dining options than days of your cruise. Award-Winning Entertainment: Bask in the bright lights of Broadway with performances like Rock of Ages or Tony Award®-winning musical Million Dollar Quartet. Or watch in awe as world-class acrobats and aerialist twirl through the air in Cirque Dreams. 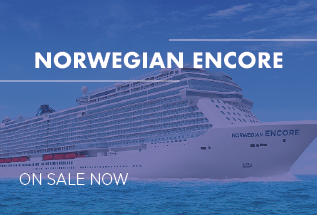 Spend every day discovering award-winning entertainment that's beyond anything at sea. Relax & Recharge: There's nothing like starting your morning with a glass of sunshine and fresh ocean breezes on your own private balcony. Or maybe you want to experience your holiday on another level - at the top of the ship - in The Haven by Norwegian®, an exclusive enclave with our most luxurious, well-appointed and spacious accommodations.